I’ve been making jam. Basically, I like jam, but I don’t actually eat a lot of it…. and in all my years, I have never made it before. Then came jam making sugar! 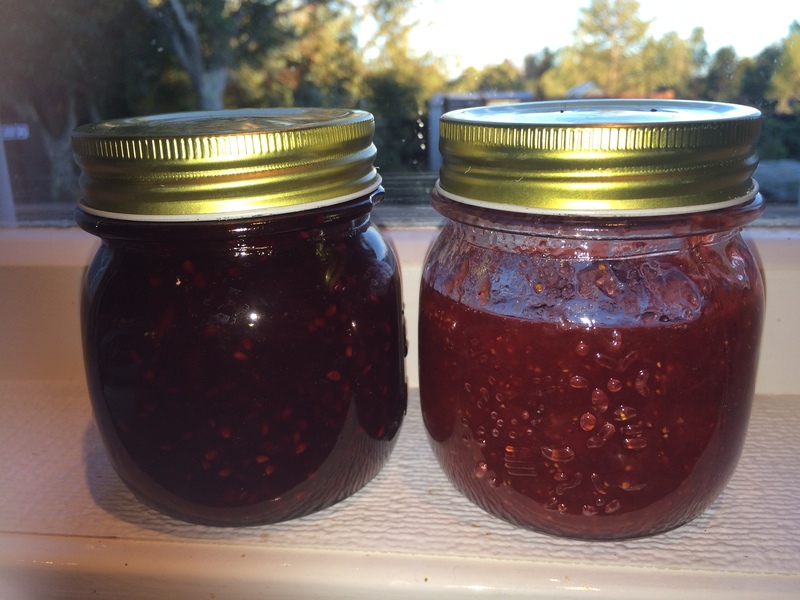 So today I made blackberry jam and strawberry jam. The secret to jam is easy…. add an apple, which is high in pectin evidently, helping it set up. And use jam sugar. And a squeeze of lemon juice. Basically I just eyeball the sugar as I don’t like the half fruit, half sugar model… and I don’t like butter. So I go easier on the sugar and add an apple. Boil on a rolling boil for at least 5 minutes. And then add to preserving jars. Indeed! And it’s so much better knowing exactly what goes into them. In new Zealand we have this awesome product, which is sugar with pectin added… Chelsea jam sugar. Interesting. Never seen here in U.S. gonna try to goggle it and see if I can purchase some. How much does it cost around? By kilo or pound? Hi, it is sold in 1 kilo bags in supermarkets here, and while it is about twice the price of regular sugar, it is totally fool-proof for jam. I find it in the baking aisle.